To quote Linus from the Peanuts cartoon, :I've learned there are three things you don't discuss with people: religion, politics and the Great Pumpkin." After shooting so many photographs in the past few years using toy cameras with limited or no focus or exposure controls, I rediscovered the joy of shooting with my trusty Nikon F2 Photomic and go-to 85mm portrait lens. I was using great equipment, but mixed things up by cross processing slide film. 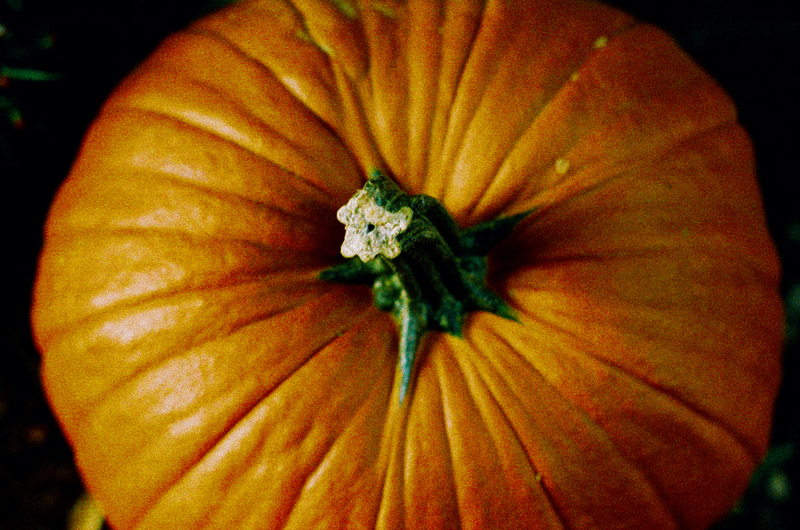 And, just like locavores who try to eat seasonally, I am trying to shoot seasonally. I guess that makes me a shootavore. Hence, expect lots of fallish work from me for the next few weeks.